Rider University is a private, coeducational and nonsectarian university located chiefly in the Lawrenceville section of Lawrence Township in Mercer County, New Jersey, United States. 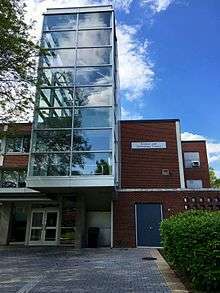 It consists of five academic units: the College of Business Administration, the College of Liberal Arts, Education and Sciences, the College of Continuing Studies, and the Westminster College of the Arts. In addition to regional accreditation, the undergraduate and graduate programs in business are accredited by AACSB, and the professional education graduate programs are accredited by NCATE. As of 2014 there are 5,400 undergraduate and graduate students attending. The school was founded as The Trenton Business College on October 1, 1865, by Henry Beadman Bryant and Henry D. Stratton, operators of the Bryant and Stratton chain of private business schools. 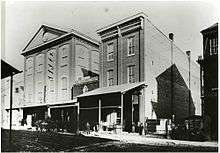 The school was located in Temperance Hall at the corner of South Broad and Front Streets in Trenton, New Jersey. Andrew J Rider was appointed as its first president. President Rider owned 500 acres of cranberry bogs near Hammonton, New Jersey. According to tradition, this is why the school colors are cranberry and white. The school grew and periodically moved to larger quarters. In 1896 women were admitted. In 1897 the school was renamed The Rider Business College. President Rider stepped down the following year. In 1921 the institution moved to East State Street in Trenton and officially became known as Rider College. 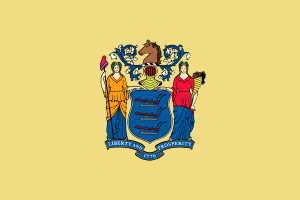 In 1922 the New Jersey Board of Education granted Rider College permission to confer the degrees of Bachelor of Accounts and Bachelor of Commercial Science. In 1957 Rider Business College introduced liberal studies leading to a Bachelor of Arts degree. in 1959 Rider College moved its campus to a 280-acre suburban tract on Route 206 in Lawrence Township, N.J. On November 15, 1961, President Franklin F. Moore (a 1927 alumnus of the college) announced the gradual reorganization of the college into five separate schools, each headed by a dean who would report to the provost. The changes took effect with the 1962-63 academic year. The five schools included a new School of Liberal Arts and Sciences. Rider College merged with nearby Westminster Choir College, located in Princeton, New Jersey, in 1991-92. The campus of Westminster became the Princeton campus of Rider College. On April 13, 1994, the college became Rider University. In 2007 President Mordechai Rozanski announced the creation of the School of Fine and Performing Arts to integrate the Lawrenceville and Princeton campuses and expand programming for the arts. Today, Rider’s Lawrenceville campus is home to its College of Business Administration; College of Liberal Arts, Education, and Sciences; College of Continuing Studies, School of Education, and part of the Westminster College of the Arts, which is also located on the Princeton campus. In recent years President Rozanski announced new academic programs and new financial aid resources. U.S. News & World Report ranked Rider University tied for 22nd in the Regional Universities North category in 2016. Rider University is listed by the Princeton Review in the 2014 edition of its annual college guide The Best 379 Colleges, where it is also ranked #19 'Is That a Dorm'? Forbes ranked Rider University 485th on its "America's Top Colleges" list in 2015. The 280-acre (1.1 km2) Lawrenceville campus is in a suburban area three miles (5 km) north of Trenton and five miles (8 km) south of Princeton. Facilities are clustered and within easy walking distance of one another on the large park-like campus. There is a man made lake with a bridge that allows students to cross easily. The Westminster campus is in Princeton, New Jersey. There is a shuttle that provides service between the campuses. Memorial Hall, the Science and Technology Center, the Fine Arts Center, Joseph P. Vonna Academic Annex, the Stephen A. Maurer Physical Education Building, Anne Brossman Sweigart Hall (Business Administration), North Hall (History & Philosophy) contain the classrooms and laboratories for all curricula. A general access lab containing terminals, microcomputers, and laser printers is located in the Fine Arts Center; other computer labs are located in Anne Brossman Sweigart Hall, Memorial Hall, and at Westminster Choir College. Central VAX systems provide electronic mail, conferencing, and Internet access tools. The Princeton Community Japanese Language School teaches weekend Japanese classes for Japanese citizen children abroad to the standard of the Ministry of Education, Culture, Sports, Science and Technology (MEXT), and it also has classes for people with Japanese as a second language. Courses are taught at Memorial Hall. The main office of the school is in Princeton although the office used on Sundays is in Memorial Hall. Rider has invested more than $130 million since 2004 for construction of new buildings and renovations of older facilities, including academic buildings, residence halls, and dining facilities. In 2005 Rider completed its 63,000-square-foot (5,900 m2) Student Recreation Center (SRC), a 186-bed residence hall, and three-story additions to Ziegler and Hill Residence Halls. The SRC contains locker rooms, a 3,600-square-foot (330 m2) fitness room with cardiovascular and strength training equipment, two group-exercise studios, three multi-purpose courts, a 3-lane elevated track, and a game room. In 2009, construction was completed on an environmentally-friendly 150-bed residence hall on the Lawrenceville campus. In 2011, the University built a Leadership in Energy and Environmental Design silver certified, 21,250-square-foot (1,974 m2) academic building next to Moore Library and an 11,000-square-foot (1,000 m2) expansion of the Bart Luedeke Center Theater. 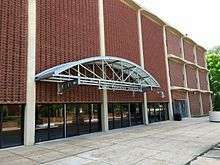 The expansion includes dressing rooms, an orchestra pit, a black box theater, and a dance studio. Construction of the new performance complex on the Princeton campus, which broke ground the previous summer, was complete in September 2014. That building is named the Cullen Center after the philanthropist who contributed a planned gift to Westminster and to the overall project. The performance space is named the Hillman Performing Arts Center in honor of Westminster alumna and philanthropist Elsie Hillman. In 2016 construction was complete for an 8,400-square-foot (780 m2) basketball practice facility. It will be known as Jason Thompson Court after Philadelphia 76ers player and Rider Alumnus, Jason Thompson '10. Traditional liberal arts programs of study are offered on the Lawrenceville campus, as well as undergraduate business and education studies. The Westminster campus offers music-based curricula. The College of Arts and Sciences comprises 14 departments, offering a wide array of majors. The college also offers master's degrees. The College of Business Administration offers programs at both the bachelors and masters levels. The two graduate degrees offered. The Department of Graduate Education and Human Services offers five master of arts degrees and 25 certification programs. In addition, two educational specialist degrees are offered. The Department of Communication and Journalism offers one master of arts degree in Business Communication. First published in 1923 two years after the institution officially changed its name to Rider College. The yearbook continues to be published each year by a student staff. The staff writes all the articles, designs the pages, comes up with its theme and takes many of the pictures. The 2010 yearbook marked its 87th volume. The book is primarily made for senior students, but can be purchased by any Rider student. Seniors that sit for a portrait receive a yearbook free of charge. The book typically is shipped to students in November. As of 2010, Herff Jones publishes the book for Rider. The school's student newspaper, founded in 1930. It is published weekly on Wednesdays between September and May, during the academic term. Student organization that produces television programs in the Department of Communication and Journalism’s Television Studio. Programs are regularly broadcast on the campus network and are available everywhere online. 9,353 students applied for admission in 2014. 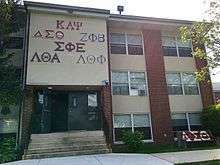 Currently on Rider's Lawrenceville Campus, there are twelve social Greek organizations which are members of the Interfraternity Council, the Panhellenic Council or the Intercultural Greek Council. There are two fraternities and four sororities. In addition to these social Greek organizations, there are numerous professional and honorary fraternities. About 10% of the Rider community is involved in fraternity and sorority life. In the Spring, the Greeks hold "Greek Week". During Greek Week, Fraternities and Sororities compete in a variety of events which change from year to year; however, every year there is a philanthropy event. Past events have benefited St. Jude's Juvenile Cancer Center, as well as paralysis research, neurological disorder research, and various other causes. On March 30, 2007 18-year-old student Gary DeVercelly died of alcohol poisoning after a night of heavy drinking at a Phi Kappa Tau fraternity house. The incident was tied to a longstanding, hazing tradition involving the use of dangerous quantities of alcohol as part of a big brother - little brother ritual. Two Rider University officials, including the dean of students, and three students were indicted for aggravated hazing; the charges were dismissed for lack of evidence. Settlement of the civil lawsuit resulted in major policy concessions by the University and the incident had a deep impact on Greek Life on campus. 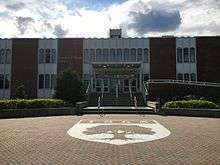 According to the Rider website, Rider University's Westminster College of the Arts has had an extensive theater program with people from all over the country coming for the quality program. For over half a century the Theatre department at Rider University has had a rich tradition in educating students and preparing them for all aspects of a life in theater. Six productions each year give students a wide variety of experiences and opportunities. They are a combination of musicals and straight plays. Various guest artists have come to Rider to teach Master Classes including Lennie Daniels, Christine Ebersole, Heather Hurst, Adam Jacobs, Derek Klena, Norm Lewis, Kelli O'Hara, Laura Osnes, Rachelle Rak, Andy Richardson, Nikki Snelson, Ben Vereen, Frank Wildhorn, and Mary Zimmerman. Athletic teams are nicknamed the Broncs. The school competes in the NCAA Division I Metro Atlantic Athletic Conference. As the MAAC is a non-wrestling conference, Rider's wrestling team competes as a member of the Eastern Wrestling League. The intercollegiate sports program at Rider was started by coach Clair Bee in the 1920s. Two of the school's most famous athletic alumni are former Notre Dame basketball coach and current ESPN sportscaster Digger Phelps, who played basketball at Rider from 1959 to 1963, and Jason Thompson, who played basketball at Rider from 2004 to 2008 and was drafted by the Sacramento Kings with the 12th pick of the 2008 NBA Draft while never winning a MAAC championship or appearing in the NCAA Tournament. Prior to Thompson's years at Rider, Rider did appear in the NCAA Basketball ("March Madness") Tournament three times: first in 1984 against the University of Richmond, again in 1993 as a 16-seed losing to Kentucky 96-52, and 1994 as a 15-seed losing to Connecticut 64-49. The university competed in football until 1951, when the football team was disbanded. A common myth is that the NCAA asked the school to discontinue the football program after an investigation into allegations of paying recruits, as well as improper benefits for players on the team. However, according to the University, Rider chose to stop sponsoring a football team for financial reasons. Rider students often proclaim their football team "undefeated since 1951". The University has recently redesigned the sports logo. The current president — Dr. Gregory Dell'Omo — became Rider's seventh president on August 1, 2015, following the retirement of Mordechai Rozanski, who served as president since 2003. Rider University has approximately 55,000 living alumni worldwide. Rider alumni are distinguishing themselves in the fields of business, government, and sports. In business: Rider graduates include: Robert Miller, President and CEO of Future Electronics; Neil B. Friedman, president of Mattel Brands; Thomas J. Lynch, CEO of Tyco Electronics; Carol M. Meyrowitz, president, Chief Executive Officer, and director of TJX Companies; Donald Monks, Vice Chairman & Chief Administrative Officer, The Bank of New York Mellon; Mike Pulli, CEO of Pace plc; Thomas O'Riordan, former CEO of American Sporting Goods Corporation; Robert Schimek, President & CEO of The Americas American International Group; Ronald Schlosser, chairman & CEO of Haights Cross Communications; John T. Spitznagel, chairman & CEO of Oceana Therapeutics; Howard Stoeckel, CEO of Wawa; Kenneth Yen, CEO of China Motor Corporation; Meg Walsh, president of Medscape Consumer; and Chris Catalano, former CEO of School of Rock and past Chairman of Redbox. In government: Rider graduates include: Nathaniel Barnes, Liberian Ambassador to the United Nations; Frederick W. Donnelly, former Mayor of Trenton, New Jersey; Robert E. Grossman, Judge on the U.S. Bankruptcy Court for the Eastern District of New York; David Rousseau, MBA, former New Jersey State Treasurer; and Mark S. Schweiker, MA, 44th Governor of Pennsylvania. In sports: Rider graduates include: Jack Armstrong, 1990 Major League Baseball (MLB) All-Star and World Champion; Al Downing, 1967 MLB All-Star and Strikeout Champion, and 1971 MLB Comeback Player of the Year; Jeff Kunkel, professional baseball player; Caroline Lind, MBA, Olympic Gold Medal rower at the 2008 Summer Olympics in Beijing; Digger Phelps, ESPN college basketball analyst and former Notre Dame Fighting Irish basketball coach; Bobby Smith, National Soccer Hall of Fame member; and Jason Thompson, basketball player in the NBA. In entertainment: Rider graduates include: Joanne Nosuchinsky actress and Fox News Channel contributor; DeMarius Copes (actor), Newsies First National Tour; Russell Fischer (actor), Broadway's Jersey Boys; Carolina Sanchez (actress), West Side Story National Tour, Milika Griffiths (actress), Ragtime National Tour. ↑ "Current Institutional, International, and Associate Members". Council of Independent Colleges University. Retrieved 2008-03-18. ↑ "Member Directory". National Association of Independent Colleges and Universities. Retrieved 2008-03-18. ↑ "NCSE Public Tables Endowment Market Values" (PDF). Retrieved 2016-01-29. 1 2 3 4 "Rider at a Glance". Rider University. Retrieved 2008-03-18. 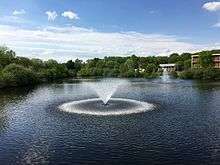 ↑ "Rider University breaks ground on environment-friendly construction". The Times (Trenton). Retrieved 2010-05-18. ↑ Rider University Graphic Standards Manual and Editorial Style Guide (PDF). Retrieved 2016-04-16. ↑ Rider at a Glance, rider.edu. 1 2 3 Rider University - A Profile of Rider University in Lawrenceville, NJ. Philadelphia.about.com (2009-08-20). Retrieved on 2013-09-04. ↑ Ramsden, Sean (2011-11-17). "A Golden Plan". rider.edu. Retrieved 2012-02-20. ↑ About Rider | Rider University. rider.edu. Retrieved on 2013-09-04. ↑ "The Rider News". Retrieved 29 May 2015. ↑ "Rozanski Strikes Positive Notes at Fall Convocation - Rider University". Retrieved 29 May 2015. ↑ "Rider University". U.S. News & World Report. Retrieved November 29, 2015. ↑ "America's Top Colleges". Forbes. July 29, 2015. 1 2 "Home" (Archived 2014-05-09 at WebCite). Princeton Community Japanese Language School. Retrieved on May 9, 2014. "PCJLS Office 14 Moore Street, Princeton, NJ 08542" and "Sunday Office Rider University, Memorial Hall, Rm301"
↑ "Direction & Map." Princeton Community Japanese Language School. Retrieved on May 9, 2014. ↑ "Bright ending for 6th President". The Rider News. 2015. Retrieved 2015-04-23. ↑ Facilities | Rider University. rider.edu. Retrieved on 2013-09-04. ↑ "Rider University breaks new ground" (PDF). The Rider News. 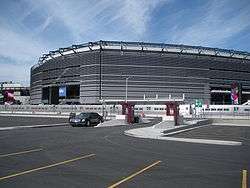 2009-10-02. Retrieved 2015-04-23. ↑ "Editorial: Rider University construction projects elevate college to larger stage". The Times of Trenton. 2011-09-18. Retrieved 2012-02-20. 1 2 "Open House to showcase WCC's new 'world class' Hall". The Rider News. 2014-10-21. Retrieved 2014-10-25. ↑ "Next phase of Rider's athletic campaign underway". rider.edu. 2015-06-15. Retrieved 2015-06-15. ↑ "107.7 The Bronc WRRC-FM". Retrieved 29 May 2015. ↑ "Rider University Network". Rider University Network. Retrieved 29 May 2015. ↑ "High-performing freshman settle into their new lives at Princeton, TCNJ, Rider". The Times of Trenton. 2014-08-28. Retrieved 2014-11-22. ↑ Rider University Freshman Dies After Excessive Drinking at Fraternity House. Fox News. Retrieved on 2013-09-04. ↑ New Jersey: University Hazing Death. School Violence Law (2012-02-05). Retrieved on 2013-09-04. ↑ Indictments In N.J. Campus Hazing Death. CBS News (2009-02-11). Retrieved on 2013-09-04. ↑ Hester, Tom. (2007-08-28) Judge dismisses Rider U. hazing charges. Usatoday.Com. Retrieved on 2013-09-04. ↑ "Rider's MythBusters". The Rider News. 2011-11-11. Retrieved 2015-04-23. ↑ Caputo, Mike. "University plans to revamp Bronc logo", The Rider News, Rider University, 23 February 2007. ↑ Real Time Ranking. "Robert Miller". Forbes. Retrieved 2016-04-16. ↑ "Neil B. Friedman". Businessweek.com. Retrieved 29 May 2015. ↑ Zina Moukheiber. "Sheikha Mozah Bint Nasser Al-Missned". Forbes. Retrieved 29 May 2015. ↑ "Regulatory News". Retrieved 29 May 2015. ↑ "About Haights Cross". Retrieved 29 May 2015. ↑ "List of Private Companies Worldwide, Letter - Businessweek". Businessweek.com. Retrieved 29 May 2015. ↑ "Executive Profile: Chris Catalano". Bloomberg Business. Retrieved December 20, 2015. ↑ "Duane Morris LLP - Duane Morris Partner Appointed U.S. Bankruptcy Court Judge for the Eastern District of New York". Retrieved 29 May 2015. ↑ Fuller, Natasha (November 10, 2014). "Rider student on tour with the Newsies". Rider University. 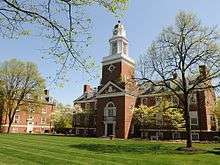 ↑ "Why Russell Chose Rider's Westminster Choir College". Rider University. Retrieved December 20, 2015.